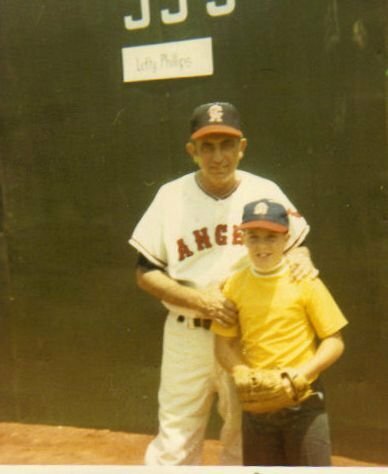 Those that have followed my writing on this site for any length of time know that perhaps more than any other thing on earth that the game of Baseball is an important part of my life and spirituality. Baseball, unlike most sports is very much a game with a calendar that is almost liturgical in its makeup. It is also a game where those who “have gone before” are as much a part of the present as a part of history. It is a game that people like me ascribe an almost mystical or religious significance. I have grown up with baseball. 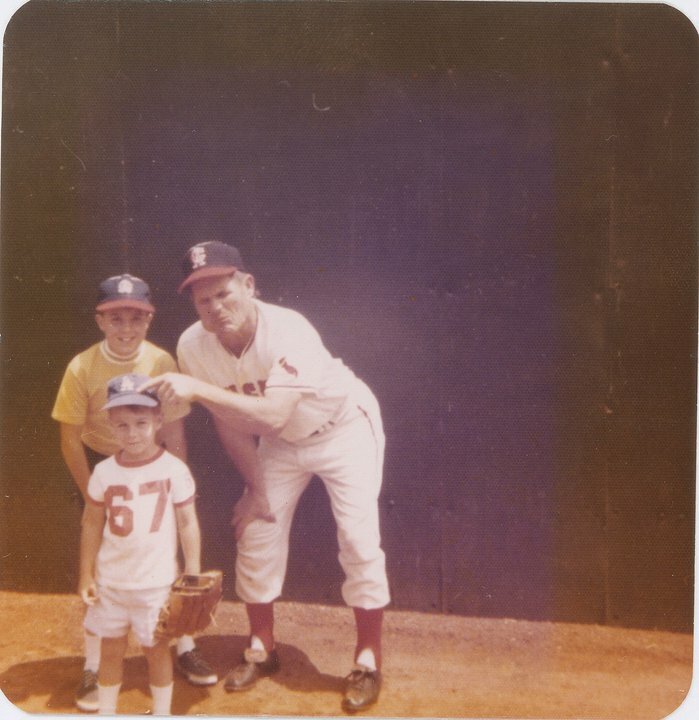 My dad ingrained it in me, my mom came to my little league games when my dad was in Vietnam and even my paternal grandmother had a baseball game on whenever one was on. I like to say that God speaks to me through Baseball, and I do think that I am right about this, much more so than Scripture which I never know if I am interpreting correctly, especially because so many learned people tell me that I’m a heretic. So I guess I have to let God speak to me in other ways, like Baseball. The All Star Game is part of my “Church Calendar.” it is a moment in the summer where the game and I pause. I pause to reflect on life and remember so many things about the specific All Star Games, my dad and life. All Star games in any sport are problematic. Most have no meaning. The NFL Pro-Bowl is such bad football that it has almost no relationship to the game as it is played every Sunday. The NBA and NHL games are better, but again because of the nature of those games little resemble their regular season or playoff games. Added to this as that none of those games have any bearing on what happens in the sport where the Baseball All Star Game matters, it determines home field advantage in the World Series. 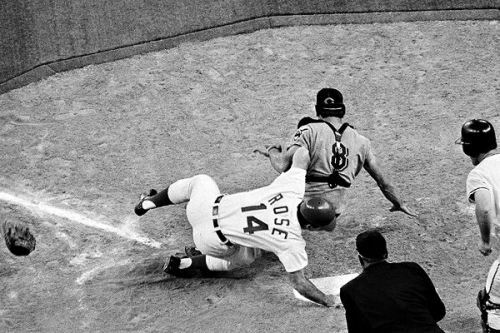 I fell in love with the All Star Game in 1970, the game that Pete Rose ended in extra innings when he ran over Cleveland Indians catcher Ray Fosse to win the game for the National League. 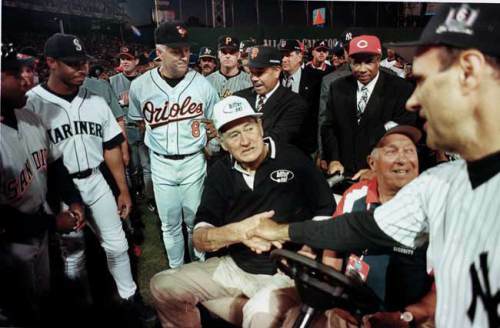 Likewise I remember the 1999 All Star Game at Fenway Park when Ted Williams was honored and the All-Century Team was named. I found it interesting that Pete Rose, arguably the best hitter in the history of the game who was banned from baseball for life by A Bartlett Giamatti for betting on the game was included on that team. I agreed with the selection then and in light of the fact that so many other men of sometimes questionable morals and character are in the Hall of Fame think that the ban on Rose should be lifted and that he be voted into the Hall of Fame. The All Star Game is a celebration of the game, its history and players, not just the ones playing in the current year. I am interested in this game in some ways because I have seen quite a few players at some level of their minor league careers in the South Atlantic, Carolina, Southern, Eastern, International or Pacific Coast Leagues. For me it is really cool to see men that I watched when they were in the minors now playing in the All Star Game. For those that don’t follow the minor leagues it provides a certain amount of perspective because most players in the minors never make the majors and even many of those who do don’t stay there. It is a hard life and for most the money is not that great, thus I do not begrudge the salaries that they make when they get to the majors. It takes a tremendous amount of talent, hard work, determination and sometimes luck to make it in the majors, to stay there and to become an All Star. Those that do it consistently year after year are amazing. Tonight’s game will be played at the Great American Ballpark in Cincinnati, the home of the Cincinnati Reds. The game will mark the return of the Baseball’s all-time hit leader, Pete Rose to such festivities. Rose’s on the field accomplishments are clouded by the fact that he bet on baseball as a manager, and new allegations that he may have did so as a player as well. In spite of that nothing can take away from Rose’s on field accomplishments and as with all of history baseball has myths and legends that need to be scrutinized but at the end of the day have to be acknowledged. This is true for Pete Rose as much as it is for any historical figure, including Abner Doubleday who was unappreciated as a general but became linked forever to the game known as America’s national pastime and to Cooperstown New York, the home of Baseball’s Hall of Fame. As such Doubleday is probably better known to most Americans, particularly baseball fans than any Union general who fought at Gettysburg. Like the Civil War, Baseball too is filled with myths which connect it to our culture, and one “is the myth that Abner Doubleday invented the sport one fine day in 1839 at the farmer Phinney’s pasture at Cooperstown.” It was early American baseball star Albert G. Spaulding who linked the creation of baseball to the Civil War and in particular to Abner Doubleday by way of an apocryphal story of one of Doubleday’s childhood friends, years after Doubleday’s death. In 1907, Spaulding worked with Abraham G. Mills the fourth President of the National League, the same man who had served in Doubleday’s funeral honor guard to conclude that “that the first scheme for playing it, according to the best evidence obtained to date, was devised at Cooperstown New York, in 1839.” 2625 But this is simply myth and the underappreciated hero of the first day of battle at Gettysburg is much better known for something that he did not do. 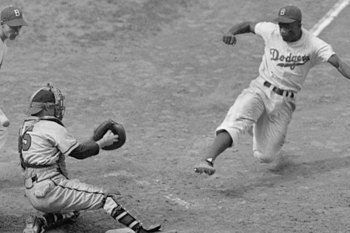 History, myth, scoundrels and baseball. What else can be said about this wonderful game which is so much a part of American lore? Baseball, unlike most sports is very much a game with a calendar that is almost liturgical in its make up. It is also a game where those who “have gone before” are as much a part of the present as a part of history. It is a game that people like me ascribe an almost mystical or religious significance. I fell in love with the All Star Game in 1970, the game that Pete Rose ended in extra innings when he ran over Cleveland Indians catcher Ray Fosse to win the game for the National League. Likewise I remember the 1999 All Star Game at Fenway Park when Ted Williams was honored and the All Century Team was named. I found it interesting that Pete Rose, arguably the best hitter in the history of the game who was banned from baseball for life by A Bartlett Giamatti for betting on the game was included on that team. I agreed with the selection then and in light of the fact that so many other men of sometimes questionable morals and character are in the Hall of Fame think that the ban on Rose should be lifted and that he be voted into the Hall of Fame. Tonight’s game will be played at Target Field in Minneapolis, the home of the Minnesota Twins. It will be the last for Yankee great Derek Jeter who has announced his retirement from the game. So anyway, that’s all for now. Tomorrow I will be traveling to see the AAA All Star Game between the All Stars of the Pacific Coast League and the International League. That being said I find something wonderful about the All Star Game despite the fact that we now have year round inter-league play. Back when I was a kid the All Star Game and the World Series were the only times besides Spring Training that one could see players from both leagues play. I like inter-league play and unlike some do not think that it takes away anything from the mid-summer classic. The All Star Game is a celebration of the game, its history and players, not just the ones playing in the current year. I am interested in this game, maybe more than others in recent memory because I know or have met a number of the players including Chris Tillman and Manny Machado of the Baltimore Orioles and seen quite a few at some level of their minor league careers in the South Atlantic, Carolina, Southern, Eastern, International or Pacific Coast Leagues. For me it is really cool to see men that I watched when they were in the minors now playing in the All Star Game. For those that don’t follow the minor leagues it provides a certain amount of perspective because most players in the minors never make the majors and even many of those who do don’t stay there. It is a hard life and for most the money is not that great, thus I do not begrudge the salaries that they make when they get to the majors. It takes a tremendous amount of talent, hard work, determination and sometimes luck to make it in the majors, to stay there and to become an All Star. Those that do it consistently year after year are amazing. 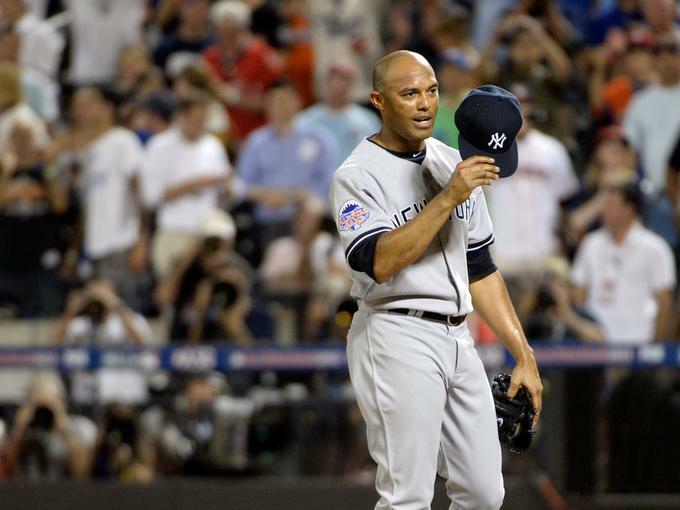 This year was the last All Star Game for the amazing Mariano Rivera, the all time leader in saves by a relief pitcher who has brought so much to this game. He is cool, collected and humble as well as a machine when it comes to closing games. With 638 career saves to date and probably at least another 20 before the end of the season. Rivera pitched the bottom of the 8th inning and was honored by fans and players alike and was chosen as the game MVP. A fitting honor for an amazing pitcher and human being. Tonight the American League won the game 3-0 and secured home field advantage for the American League Champion when it comes time for the World Series. Of course I hope that the Baltimore Orioles will be that team.